Have you ever come to the point in your life when you knew things had to change but had no idea how to make the change? Are you living a life that does not feel authentic to your true self? Do you wish you were living another life but don’t know where to start? Are you giving to everyone else and not yourself? Are you dancing on the edge of burnout? Are your emotions getting the best of you? There comes a time in every woman’s life when things are just not working the way we would like them to. The imbalance may show up in your health, relationships, finances or career. You may just want life to be more fun, more rewarding, more loving or just MORE. Wherever this imbalance is, things just don’t feel right. Something has to change AND NOW. Where do you start? 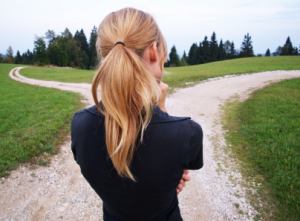 Which path do you take? This is an epic journey, shero’s journey. It is a journey from feeling a lack of love in some area of your life to creating or finding an even greater love. It takes a little time to unravel the past, clear the obstacles and outdated beliefs so you can transform your life into your passionate purposeful life. The first step is to take a stand for yourself and learning to say YES to yourself and loving yourself enough to do whatever it takes to be fully available to live your life in a way that is true to your heart. It takes courage, willingness and lots of trust. 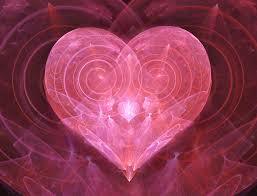 The heart generates the largest electromagnetic field in the body. The electrical field as measured in an electrocardiogram (ECG) is about 60 times greater in amplitude than the brain waves recorded in an electroencephalogram (ECG). The Energetic Heart: Bioelectromagnetic Interactions Within and Between People Rollin McCraty, Ph.D.
What this means to me that if we try to think ourselves into a new life it does not have near the impact as feeling our way through our hearts to the essence of our hearts desire. The first step in this journey is to come from a place of love. Our purpose does not come from duty or obligation. It comes from the deepest loving part of us that cannot help but offer up our best. Take a stand to THRIVE and live your life based on LOVE! This is a wonderfully delicious way to focus on what really matters to you and not out of duty but out of the sheer pleasure of love. What could happen if you started creating your life from doing things that really matter to you. Things that make your heart sing and put a silly grin on your face. Yea, you know you really want to. In over 25 years of private practice as a Naturopathic Doctor, I found that so many illness and imbalances that people in my practice were suffering from stemmed from living a life that no longer suited them. When your home, work or life partner is the source of more discomfort than comfort, something has to change so you are not bathed in stress hormones every day. When we start to look through the lens of love at our lives, the same old things can look very different! Or it is time to make a change and base your choice on your hearts desire. In our society it is so programmed into us to base our decisions on what we think is best and not from our heart’s desire. It is a new skill to connect with your heart and make decisions from there. It starts by getting you connected to the wisdom of your heart. This program is designed to connect you with your heart and learn to live from there. Would you like to join me, Dr. Susan Hamilton, and play with a group of women creating lives that matter? We are looking for women who want rich juicy lives, who want to come from a deep love for themselves and bring their best into the world. We want to create a world where we can live in an authentic life based in love and THRIVE. You CAN change how you feel about your life by starting with loving yourself. That is why I am offering the Passionate Purposeful Life program as a starting point to creating your I love me year. This is not something I take lightly. It has changed my life in such a profound way that I cannot help but share it with others. I have this crazy dream of helping women turn their light on. You know what I mean. You can feel it when you are lit up from the inside. Life is easy and you are unstoppable. What if each one of us took the time to light up. Can you remember the song, This Little Light of Mine, I’m gonna let it shine…. So you light up and one of your friends notices and decides to do the inner work so that she can light up too. If my lit candle can light you up and you can then light up someone else. What a world we can create. You are unique and the world is waiting for your unique expression. Your light is wanted, needed and oh so beautiful. Let’s walk down this path together!! Life is just more fun when you light up and love your life! Contact me for a free discovery session to see if this is right for you. Create your Passionate Purposeful Life. Be awesome and pass it on!